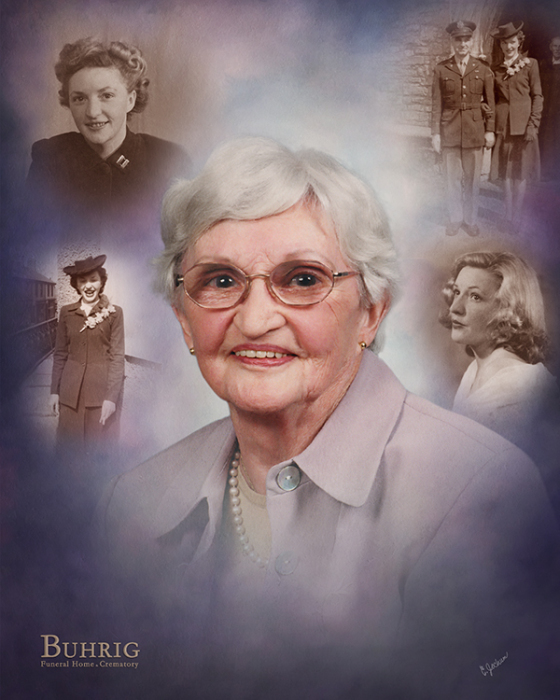 Anne Eleanor (Pratt) Davies, age 98, of Mechanicsburg, passed away at home peacefully on Friday, March 22, 2019. Anne was born on Wednesday, March 16, 1921 in Glamorgan, Wales to the late Charles Pratt and Anne Eleanor (Fitter) Reece Pratt Kerr. Anne was the widow of Russell Herbert Davies, whom she married on April 2, 1946, and who died on July 26, 1994. In addition to her parents and husband, Anne is preceded in death by her brother, Frederick; and her sister, Elizabeth. Anne’s survivors include her three sons: Russell “Mac” Davies of Johannesburg, South Africa, Alan Davies and his wife, Kathleen, of Annville, PA, James “Jim” Davies of Mechanicsburg, PA; her six grandchildren: Anita Davies of Carmichael, CA, Sharon Ryder and her husband, Sam, of Lewisburg, PA, Christine Davies of Pittsburgh, PA, Zachary Davies and his wife, Meda, of York, PA, Paul Davies of Mechanicsburg, PA, Evan Davies of Mechanicsburg, PA; and her four great-grandchildren: Bryce Ryder, Brady Ryder, Gage Davies, Rainier Davies. She will be deeply missed by all. Anne spent her early life in England and came to the United States in 1946 as the bride of an American soldier. The couple lived in several states together until finally settling in Mechanicsburg, PA. She loved to travel, especially back home to England and South Africa, where her eldest son currently resides. Anne was a longtime member of St. Luke’s Episcopal Church in Mechanicsburg. She also was a member of the Daughters of the British Empire in Harrisburg. All are welcome to join Anne’s family at her gathering of family and friends on Saturday, March 30, 2019, from 11:30 a.m. until time of service at 12:00 p.m. at Myers - Buhrig Funeral Home and Crematory, 37 East Main Street, Mechanicsburg, PA 17055; with The Reverend Madeleine Redmond officiating. To honor Anne’s commitment to health and education, her body has been donated to Pennsylvania Humanity Gifts Registry. The family sends their most heartfelt thanks to everyone with Hospice of Central Pennsylvania (HCP) who so lovingly cared for Anne. In lieu of flowers, contributions in celebration of Anne’s life can be made to Hospice of Central Pennsylvania (HCP), 1320 Linglestown Road, Harrisburg, PA 17110, www.HospiceOfCentralPA.org. Anne’s family has entrusted her care to Myers – Buhrig Funeral Home and Crematory in Mechanicsburg, (717) 766-3421. Read Anne’s full obituary, view her memorial video and portrait, and sign her official guest book at Buhrig.com.